Our departure was smooth both at the China Airlines check-in and the security check point despite it being the busy summer vacation season. 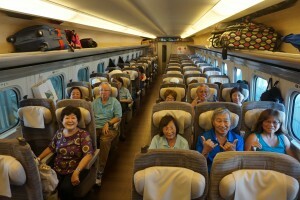 It took some extra effort for a few of us to get our preferred seat assignment, but we all got the seats of our choice. 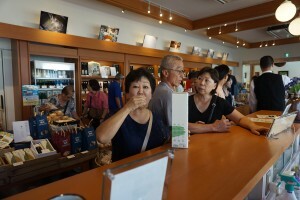 Immigration at Narita Airport was also smooth and the traffic from Narita Airport to Shinagawa Prince Hotel was light. We were able to check in before 7pm. Yay! Good way to start the trip! 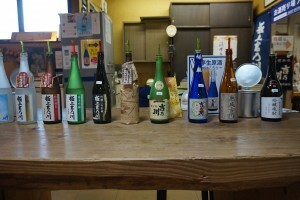 There were so many options of restaurants in and around the hotel, ranging from fast food to Izakaya, available till late at night. 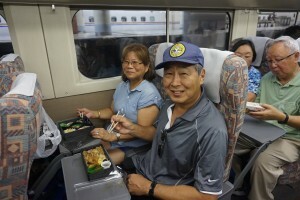 Despite our long flight, I believe that we all enjoyed our first bite of Japanese food and had a good sleep. Today is the big day. 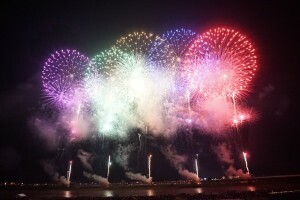 We are going to see the highlight of our tour, Nagaoka Grand Fireworks. 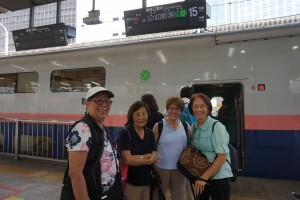 First, we took a JR local train to Tokyo Station. 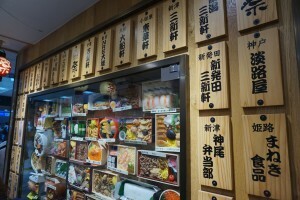 There are many kinds of Ekiben (Bento box) available to purchase at the Tokyo Station which are made in different regions of Japan with their local produce. 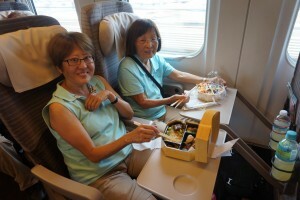 With our own pick of Ekiben in our hands, we hopped on JR Toki #321 to Nagaoka and enjoyed a smooth ride. 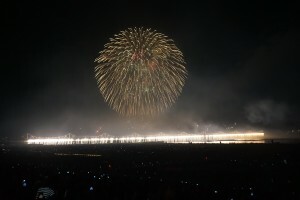 Nagaoka Station was already packed with people heading to the bank of Shinano River to view one of the best firework displays in Japan. 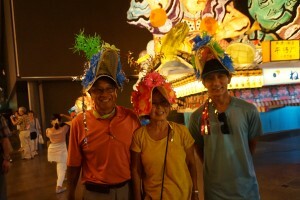 We checked in to our hotel near the station and took a short rest, then headed out to the dinner and fireworks. 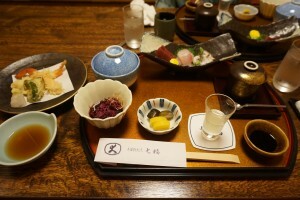 Japanese Kappo style dinner at Shichifuku was wonderful. 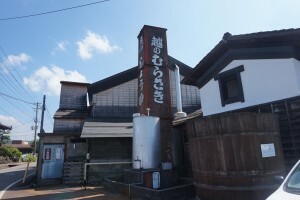 We could’ve stayed there longer enjoying Sake but left to walk to the firework site to make it on time. 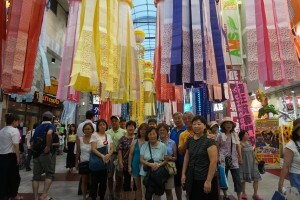 It was hot and long walk in the crowd. It took 30 min. or longer to the river. Everyone was so amazing that no one complained and made it there. 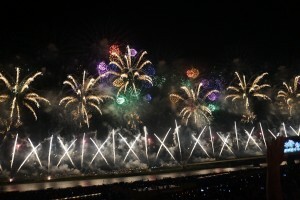 The fireworks…. no words can explain how impressive it was. 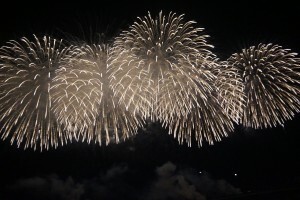 Niagara Falls, flowing down from the bridge 650-meter-long into the river, and Phoenix Fireworks, wishing for a complete recovery from the Great Chuetsu Earthquake in 2004, were the especially spectacular. 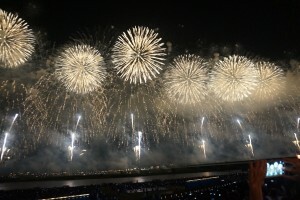 We felt their prayers for the everlasting world peace throughout their firework display and were moved very deeply. It was truly once in a once-in-a-life-time experience! What hospitality! 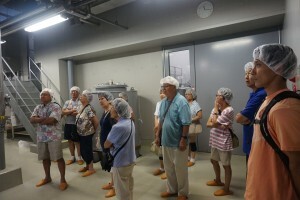 Nagaoka volunteer guides showed us around the city starting from Isoroku Yamamoto Museum to Setta (Soy Sauce factory, Hyotei Sake Brewery and Saffron Sake Honpo). 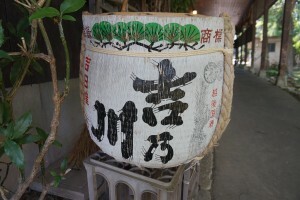 A lot of us REALLY enjoyed visiting Asahi Sake Brewery and trying their famous Kubota. Uhhhh…so heavenly…. Another big day! 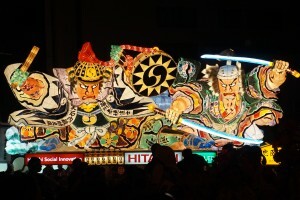 In order to view Aomori Nebuta festival, we rode on Max Toki #310, then transferred to Hayabusa #15 from Nagaoka to Shin Aomori . The ride took over 4 hours, but we finally got there. 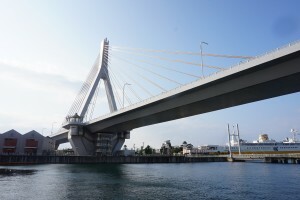 First destination in Aomori was Nebutano ie Warasse. 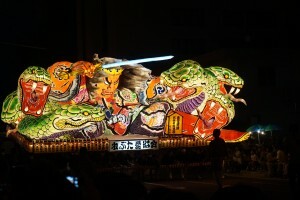 We enjoyed demonstrations of Haneto (dancers) and Hayashi (flute and drum), as well as a display of Nebuta floats. Some of us were able to dance with Haneto when they opened up the floor to dance. Their rhythm and passion were truly fascinating! 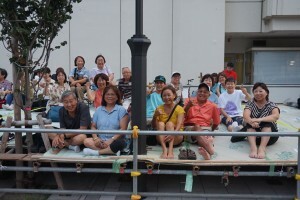 After eating Kaiseki dinner, we moved to our reserved viewing area. 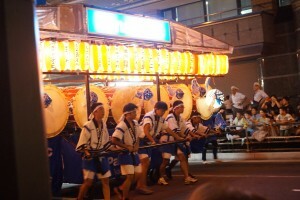 We were able to see the floats very closely. 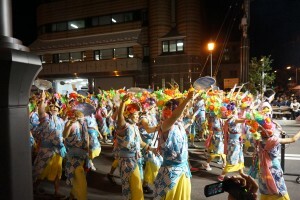 Because of our location near the intersection, we saw how the floats changed directions and moved up and down by carriers. 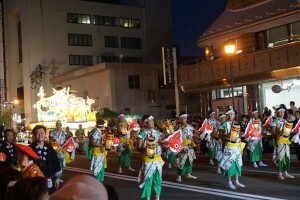 Very energetic, muscular festival! 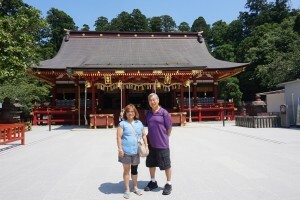 We traveled 2 hours by bus to Towada Lake after viewing Nebuta festival. It was a long and twisty ride but most of us slept anyway after a long day. 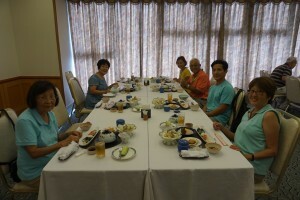 What an enjoyable breakfast at the restaurant viewing the beautiful Towada Lake. 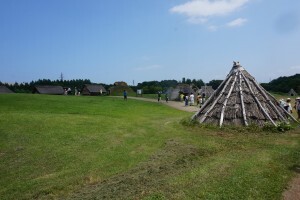 After leaving there shortly, the rest of the morning was spent at Sannai Maruyama, an archaeological site of the Jomon Era, 12,000 BC to 300 BC. All the buildings onsite were reconstructed through excavation and investigation to help us see a glimpse of what life could have been like back then. 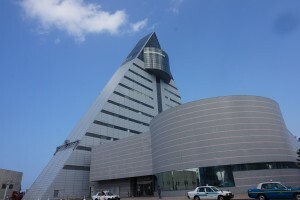 Next, we visited ASPAM, a triangle glass building in the shape of an ‘A’ (For Aomori) to take in the view across the Tsugaru Strait. 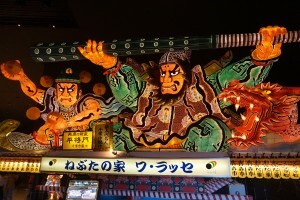 ASPAM was crowded because of the popular Nebuta Festival ongoing, but we enjoyed a lot of local goodies made out of apples. 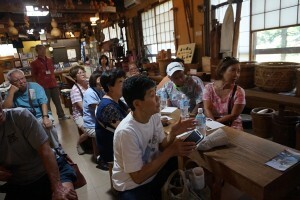 Aomori prefecture produces apples over 50% of the market in Japan. 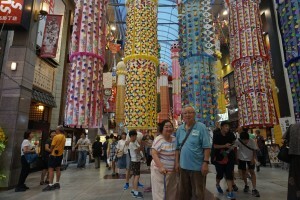 We left beautiful Aomori and headed to Sendai by JR Hayabusa #60 to enjoy Tanabata Festival. 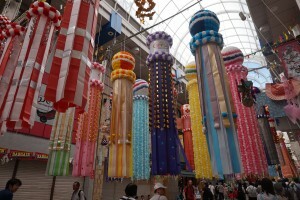 During the festival, July 6-8, derived from an ancient Japanese myth, the shopping arcades in the central Sendai City are decorated with elegant Tanzaku made out of paper and bamboo. 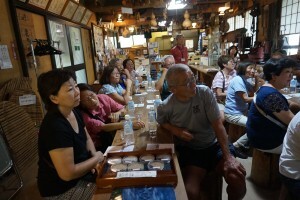 Our guide, Miyuki, took us first to the observatory deck next to the station to view the whole city, then proceeded to the shopping arcades. 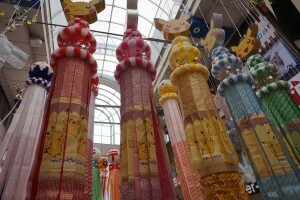 There were so many colorful Tanzaku hanging and we enjoyed taking pictures and strolling the streets. 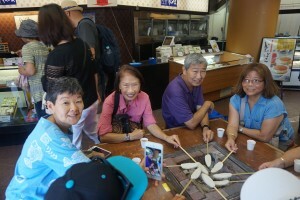 Did you enjoy dining at one of the local restaurants along the streets or near the station after strolling? 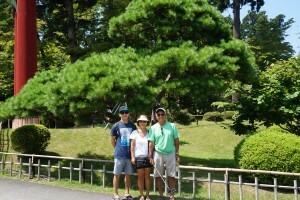 Our tour began with transferring to our destination Matsushima, one of Japan’s great three scenic points. 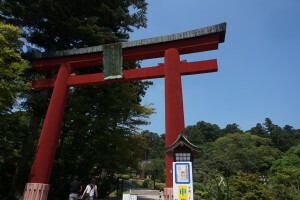 First, we visited Shiogama Shrine. 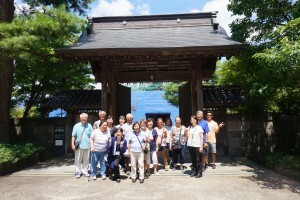 Luckily we were dropped off nearby the main structure of the shrine. 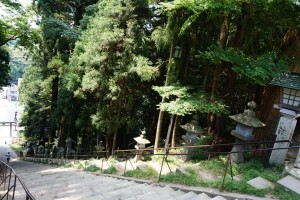 People usually visit on foot here by walking up 202 steps leading to the main gate. 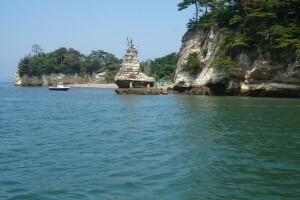 We enjoyed our exclusive cruise in the Matsushima Bay, unique for having so many little islands with interesting shapes. 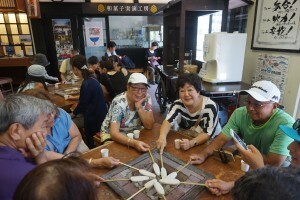 Some of us enjoyed grilling fishcake after the cruise. 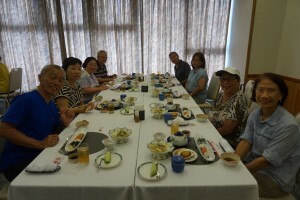 We enjoyed local seafood lunch and more shopping! 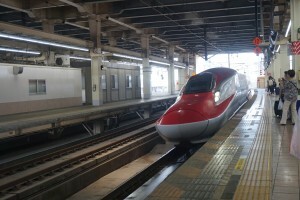 After the day at Matsushima, we departed Sendai by JR Yamabiko #148 to back to Tokyo. 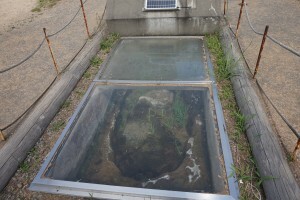 Sayonara Tohoku. 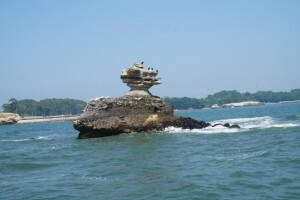 We enjoyed this beautiful region and its warm hospitality very much. 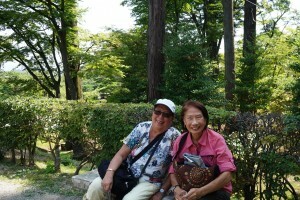 Free at leisure in Tokyo till we depart in the afternoon. 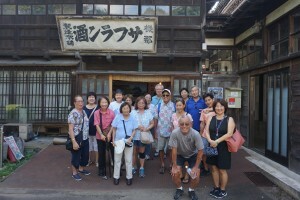 Majority of us took subway to Tsukiji to enjoy its popular outer market. 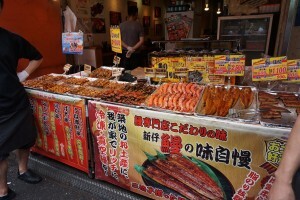 So much street food! 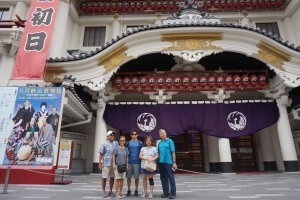 Then we walked to Ginza to enjoy shopping. The flagship Uniqlo store was hard to pass! We spent good amount of time looking for clothes. 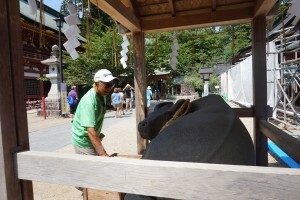 It was hot and humid to travel in the hottest month of August, however, visiting the famous 3 summer festival sites in Tohoku was truly a once-in-a-lifetime experience. 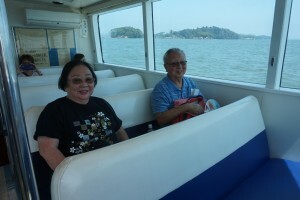 Thank you for being so patient and efficient traveling by public transportation with so many crowds. 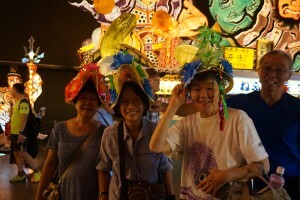 Hope you’ll come back to Japan soon to discover more of the beautiful country. So where is your next destination? 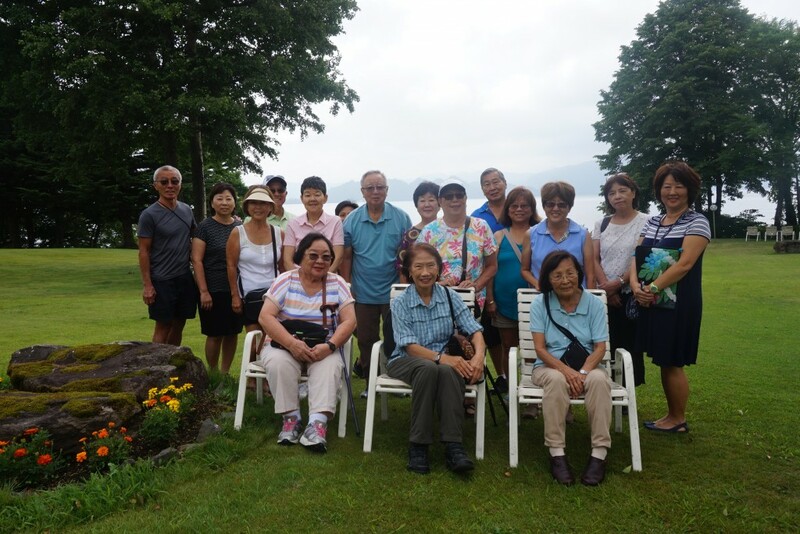 Please inquire detail for 2016 & 2017 escorted tours at:. 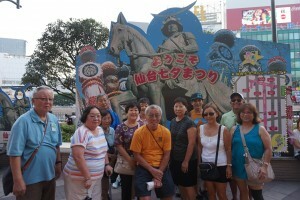 Escorted Tours from Honolulu "Summer Family Fun Tour"